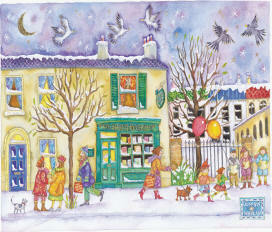 Welcome to The Skerries Bookshop Homepage. It is a family run business located in 77 Strand Street Skerries, Co. Dublin. We stock a comprehensive selection of books . In particular we stock all the schoolbooks that are required for study in the local schools. If we have not got what you want in the shop we can order it in and then text you or phone you when it arrives. The Skerries Bookshop, 77 Strand Street, Skerries, Co. Dublin, Ireland.